CHAPTER I. BIRTH AND EDUCATION—CAMBRIDGE. I cannot, perhaps, more fitly begin this short biography than with some words in which its subject has expressed his own feelings as to the spirit in which such a task should be approached. "Silence," says Wordsworth, "is a privilege of the grave, a right of the departed: let him, therefore, who infringes that right by speaking publicly of, for, or against, those who cannot speak for themselves, take heed that he opens not his mouth without a sufficient sanction. Only to philosophy enlightened by the affections does it belong justly to estimate the claims of the deceased on the one hand, and of the present age and future generations on the other, and to strike a balance between them. Such philosophy runs a risk of becoming extinct among us, if the coarse intrusions into the recesses, the gross breaches upon the sanctities, of domestic life, to which we have lately been more and more accustomed, are to be regarded as indications of a vigorous state of public feeling. The wise and good respect, as one of the noblest characteristics of Englishmen, that jealousy of familiar approach which, while it contributes to the maintenance of private dignity, is one of the most efficacious guardians of rational public freedom." In accordance with these views the poet entrusted to his nephew, the late Bishop of Lincoln, the task of composing memoirs of his life, in the just confidence that nothing would by such hands be given to the world which was inconsistent with the dignity either of the living or of the dead. From those memoirs the facts contained in the present work have been for the most part drawn. It has, however, been my fortune, through hereditary friendships, to have access to many manuscript letters and much oral tradition bearing upon the poet's private life; and some details and some passages of letters hitherto unpublished, will appear in these pages. 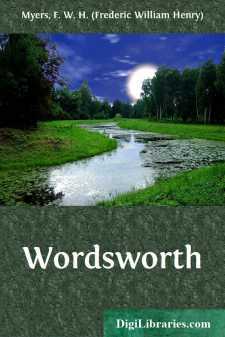 It would seem, however, that there is but little of public interest, in Wordsworth's life which has not already been given to the world, and I have shrunk from narrating such minor personal incidents as he would himself have thought it needless to dwell upon. I have endeavoured, in short, to write as though the Subject of this biography were himself its Auditor, listening, indeed, from some region where all of truth is discerned, and nothing but truth desired, but checking by his venerable presence, any such revelation as public advantage does not call for, and private delicacy would condemn.